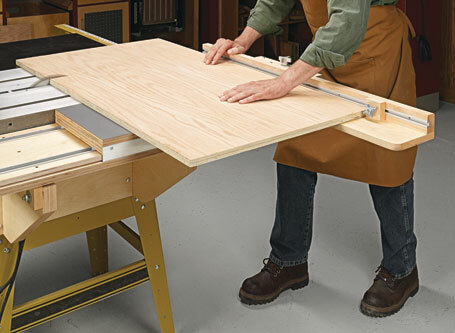 Dial in perfect-fitting box joints on your table saw or router table. This jig’s micro-adjustment system and locking feature make it easy. 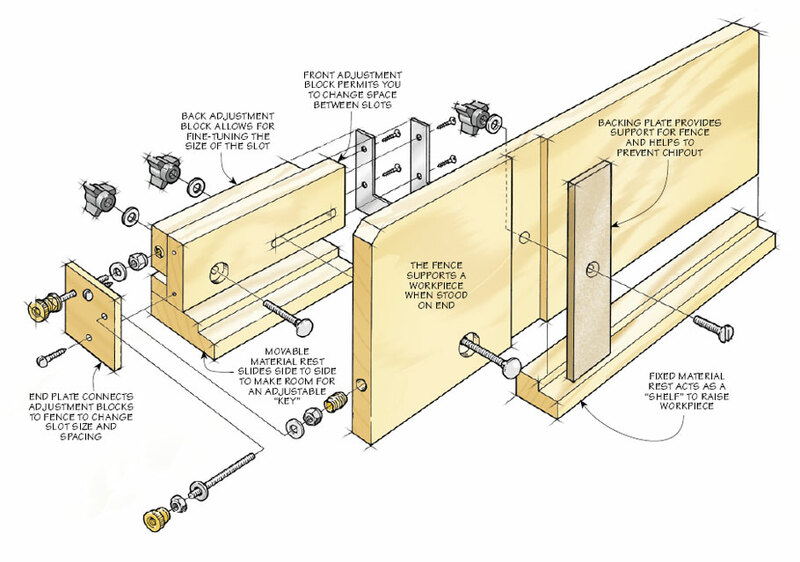 The most impressive thing about this box joint jig isn’t the tight-fitting joints you can make with it. After all, that’s what you expect from a precision made jig. What’s really unique is how quickly and easily it can be adjusted. Most box joint jigs require an almost endless amount of tweaking. 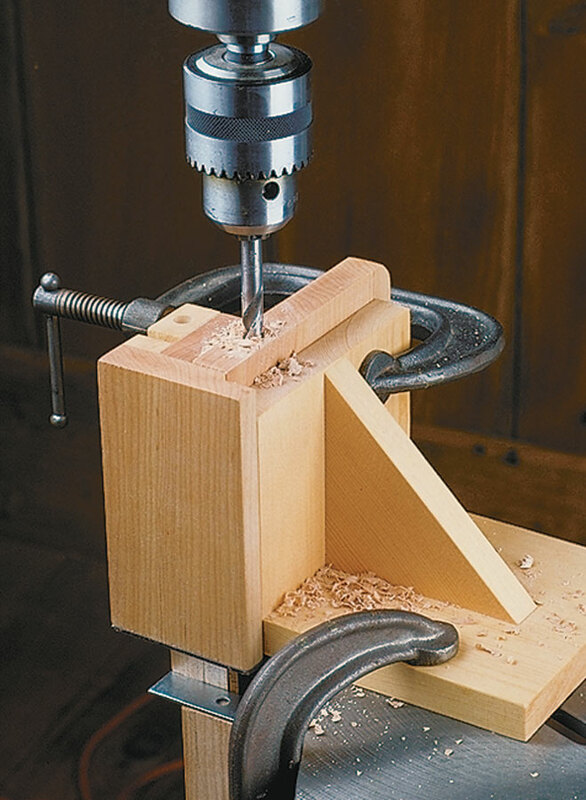 This jig, on the other hand, can be set up in a matter of minutes. 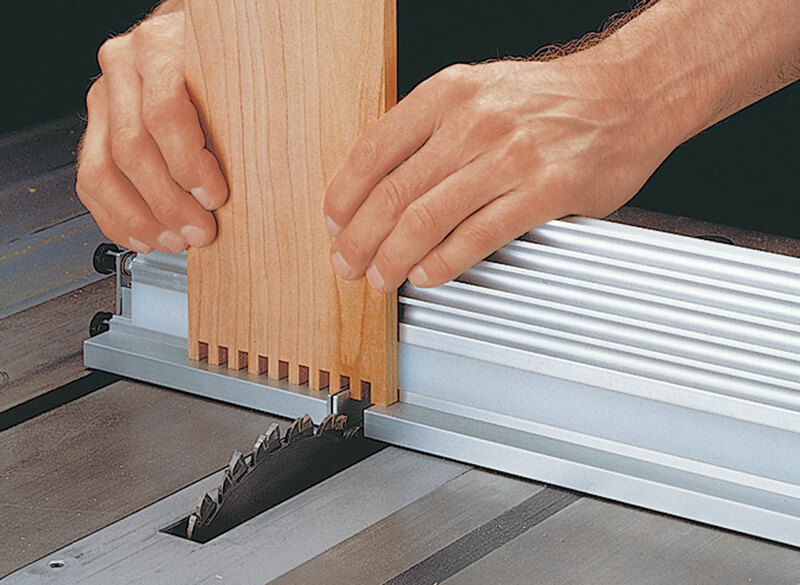 The secret is a built-in system that allows you to adjust both the size and spacing of the pins and slots that make up a box joint in extremely fine increments. 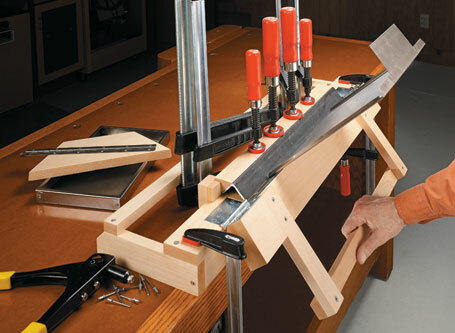 By simply turning a knob, you can set the jig to cut slots that range in size from a width of 1/4" to 13/16". A second knob changes the spacing of the pins and slots. This tightens (or loosens) the joint, which allows you to sneak up on a perfect fit. The result is perfect-fitting box joints every time. 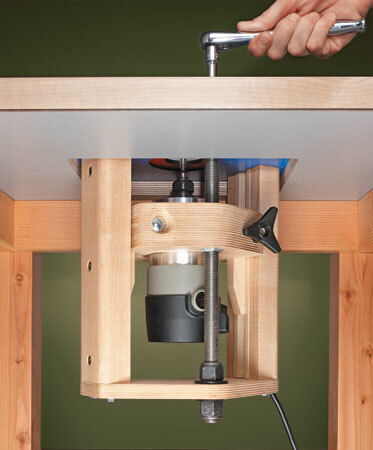 Maximize the performance of your router table with this must-have, precision upgrade. 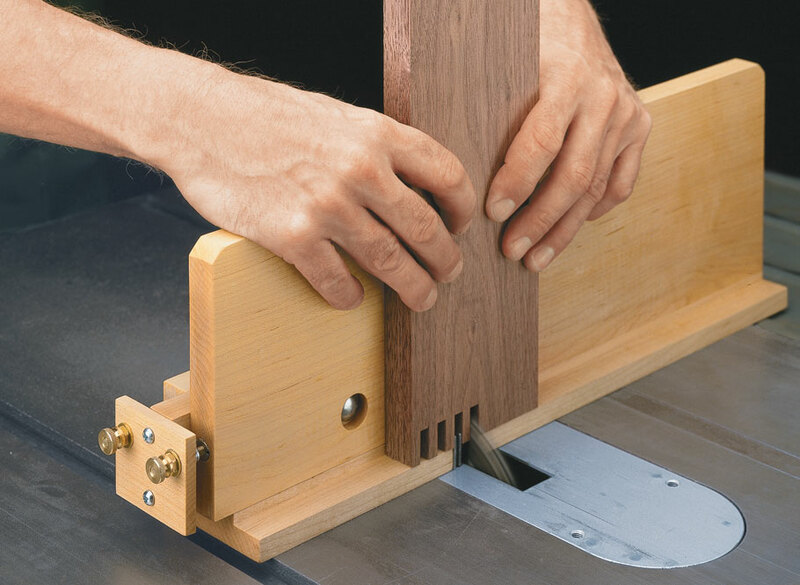 The possibilities for shop projects are endless with this simple jig for bending sheet metal.